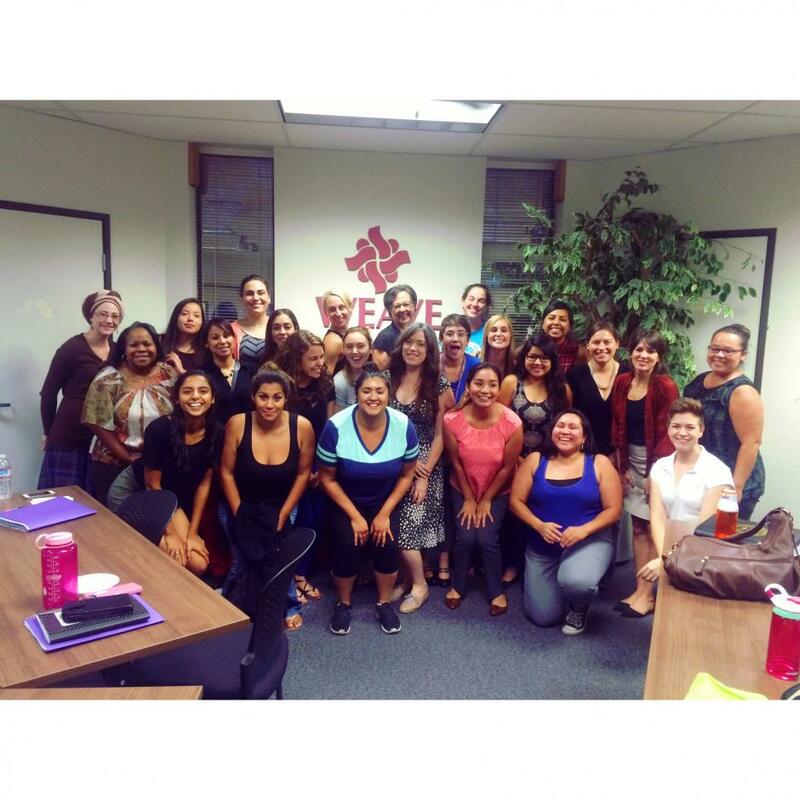 To begin volunteering with WEAVE, you must attend one of our volunteer orientations. You will have the opportunity to meet the program managers, ask questions, and receive an application. This is a one-hour educational session to give background information on the issues of domestic violence and sexual assault, WEAVE’s philosophy, and our volunteer programs. Parking: There is a parking lot at WEAVE that you may use while attending the orientation. No RSVP is necessary, for questions please contact WEAVE’s Community Educator, Brittany Bray at bbray@weaveinc.org. Peer Counselor Training: A 69 hr. state-mandated course required for advocates working with survivors of domestic violence and sexual assault. The training is offered two times per year during our winter session (Jan/Feb) and summer session (July/Aug). It is held Tues/Thurs evenings from 5:30pm-9pm and Saturday 8:30am-5pm. A phone screening and face-to-face interview will be conducted prior to admittance. While we want to accept all those who apply, we only have space to accept a handful of candidates each session. If your schedule does not allow you to attend the training, you will not be able to volunteer in the programs listed above. WEAVE Retail Stores – sizing/colorizing, helping donors, etc. Special Events – Walk a Mile, Feast for WEAVE, Holiday Shop, etc. WEAVE 101: A comprehensive 2-hour training required for those interested in any indirect service volunteer opportunities. For more details and information attend a Volunteer Orientation.